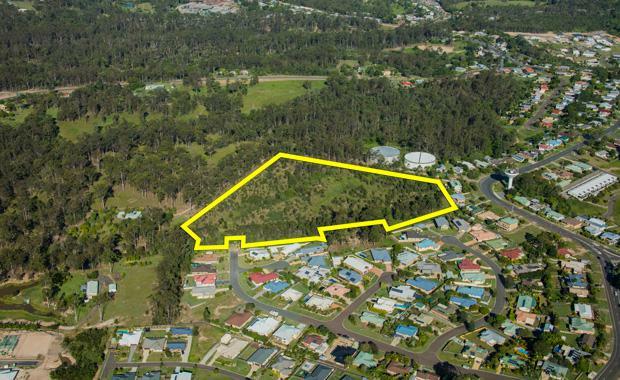 An elevated site with subdivision potential, and surrounded by existing residential developments, is being offered for sale by Ray White Special Projects (Qld). The property at Lot 563 Fauna Road, Gympie, is being marketed via Offers to Purchase by Andrew Burke and Tony Williams of Ray White Special Projects (Qld) under instructions from Receivers and Managers, Grant Thornton. Mr Burke said the price guide for the approximately 4.42ha Fauna Rd site is $800,000 and the property is zoned ‘residential living’ by the Gympie Regional Council. Mr Williams said Gympie is an important service centre in the Wide Bay-Burnett regional approximately 160km north of Brisbane and approximately 30 minutes’ drive to Noosa Heads on the Sunshine Coast. “Gympie’s proximity to the Sunshine Coast growth region is one of its attractions and it will benefit from the construction of the Sunshine Coast Hospital and the expansion of the Sunshine Coast Airport,” he said. “The population of the Gympie region is approximately 50,000 and it offers an enviable climate, affordable housing, employment opportunities and a wide range of educational options. Offers to Purchase close at 4pm (AEST) on Tuesday, August 30, 2016. The Urban Developer is proud to partner with Ray White Special Projects to deliver this article to you. In doing so, we can continue to publish our free daily news, information, insights and opinion to you, our valued readers.